After a couple of days at Disney we drove over to Hollywood to spend a few more days before leaving California. While in reality the Hollywood sign is not as grand as it appears on television and you do have to use maximum zoom to get a great photo, it is still a historic landmark for the city. I had been to the courtyard area of the Chinese theater before, but never taken the tour of its interior until this trip. It was one of those places that as soon as you entered the room you could feel the history. It is also one of those places that if you heard it was haunted you would not be shocked. Just knowing that my favorite old Hollywood stars Marilyn Monroe and Cary Grant had once sat in its seats was nostalgic enough for me. We met up with our fellow Texan and dear friend Nikki while there. She is currently working on her career in Hollywood and I have no doubt she will fulfill all of her dreams there! 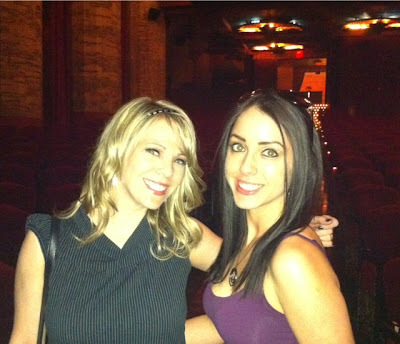 It was great having her join us for a day in California. 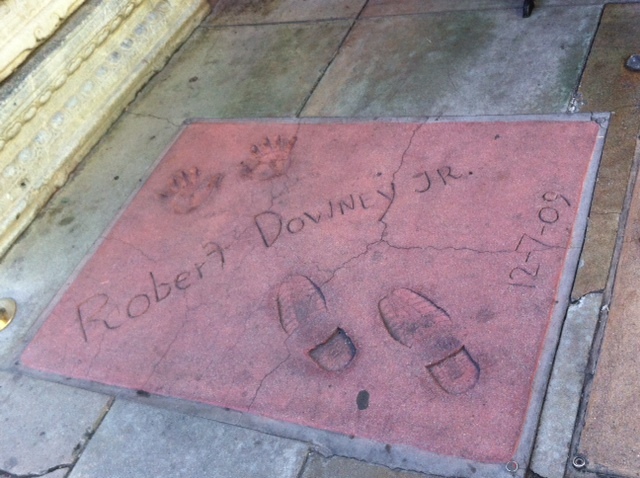 While I didn't find Robert Downey, Jr., I mean I didn't think it was too much for the universe to let me see him perhaps at the airport or out for lunch, I did stumble upon his footprints. The Kodak Theater, while it is still the Kodak Theater and until the home of the Oscar's gets a new contract for naming rights. Hollywood Boulevard and the historic Roosevelt Hotel. While I am not sure if I would love to trade in Houston for a place that leaves me stuck in the car even longer, like Los Angeles, I would not be opposed to a view like Laguna Beach on a daily basis. 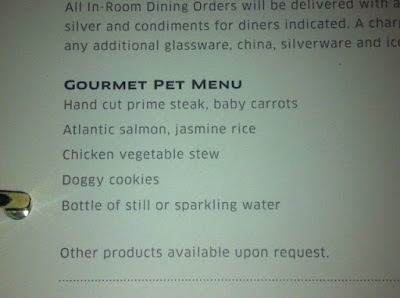 I thought that Barkley was spoiled, but upon seeing the room service menu at our hotel I realized that he has been missing out. 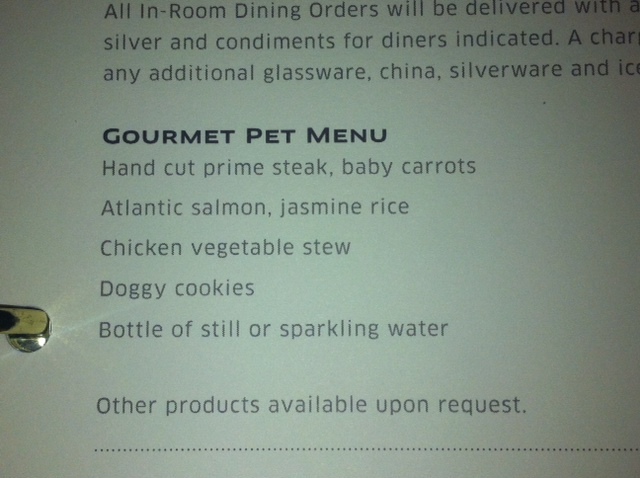 I have never giving him prime steak and while occasionally he may get Ozarka he has never been served sparkling water. Well now I have returned home and the dreary weather has done nothing to keep me from missing sunny California. For now its gorgeous beaches, blooming bougainvilleas and perfect climate will be a memory...until next time.